The excellent combination printer of quality, function, space-saving design and affordability. 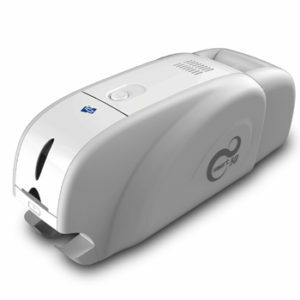 SMART value class id card printers are ideal for any kind of business that needs card printing in various applications. The SMART-30 ID card printers provide exceptional value to all users looking into printing high-quality badges on demand. The SMART-30 ID card printers can be single or dual sided and come with Fine™ Printing Technology to offer true colour reproduction on all your badges. The SMART-30 series are equipped with an 80-card feeder and a 25-card hopper. Compatible with all operating systems – including Mac and Linux – the SMART-30 card printers are ideal to print employee IDs, student badges, loyalty cards, membership cards and more. SMART-30 Series offers a wide range of optional features including magnetic encoder, contact and contactless smart card encoders making it ideal for many applications in a variety of environment. If you are looking for an easy-to-use yet affordable card printing solution, look no further. 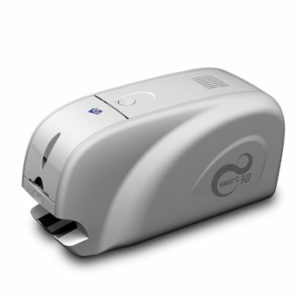 A Smart 30 card printer will exceed all your expectations!